Maidstone is a historic British town with a mix match of cobbled streets, stunning architecture and modern day office blocks. The River Medway runs straight through the heart of it, but if you don’t want to be left sailing down the stream without a paddle when selling your second hand car in Maidstone then WeWantAnyCar.com could be the life-saving craft you’re looking for. You won’t find a more professional car buying business that guarantees to buy literally any car regardless of condition or age. We provide free, no obligation valuations, comprehensive consultations and a fast payment service. We have flexible appointment times and late opening hours to work around you and will handle all the boring admin stuff. It couldn’t be easier to get started selling your car to us; just complete our straightforward car valuation form online. As soon as you are done we will display your cars value and send a valuation email to your inbox. If it meets your expectations, then don’t waste any time by booking an appointment at your local branch. Remember to bring along your vehicle’s vital documentation, so we can tie up the deal on the day and have the money sent to you within four working days. 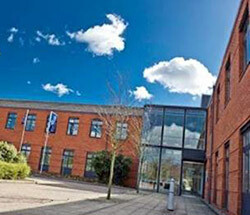 You can find us located in the Regus Offices in Kings Hill, not too far from Kings Hill Golf Club. We are in close proximity to the A228 and M20. To book an appointment call Carl on 0162 2616017 or email us at maidstone@wewantanycar.com or just drop by your local office for a consultation on your options. Simple, hassle free with very personable and helpful staff. Very simple process, took no more than 30 mins at Maidstone, offered a fair price for my car and money was in my bank a few days later as agreed. Certainly a lot less painful than trying to sell privately for a couple of hundred quid more. Great company to deal with. Miles ahead of all of their competition. Friendly and reliable staff! Simple, straightforward transaction, no haggling involved. Buyer was friendly and business-like, and the price offered was fair (though a seller always wants more!). Friendly, curtious, and fair. A very pleasant way to sell a car. I would recommend this company and the service they provide .